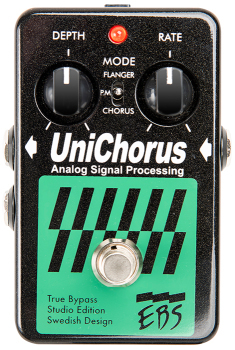 With the EBS UniChorus you can choose between low noise studio quality Chorus, Flange and Pitch Modulation effects. The pedal is built with the best analog processing circuitry available. 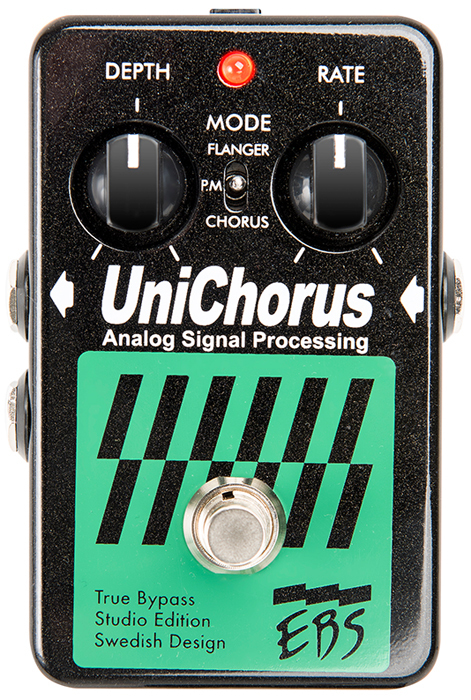 This gives a smoother, warmer and fatter sounding chorus/flange effect, useful both for live and studio performances. The 2008 edition uses true bypass techniques.